Classes repeated at 4 PM. Certain classes will be offered at both 9:00 AM and 4:00 PM Pacific time. We are trying this with some classes in order to see if there's a market for the 4:00 PM offering. Specifically, I'm hoping my friends in Australia will join us live across the international dateline. In addition, we are offering repeat classes for some of our most popular classes. For example, the Managed Services in a Month course is offered in January and again in July. So if you miss the first one, you can take the second. In addition, if you register for the first set of classes, you can also take the second at no additional charge. And, finally, we have added some new classes. 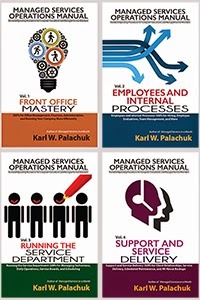 Obviously, "Managed Services in a Month - Applying the Book" is revised for the new book. 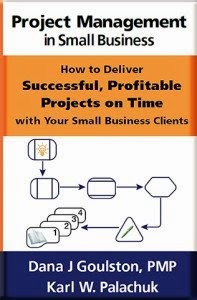 And I'm introducing the all-new course, "Service Agreements for SMB Consultants - Applying the Book." And it late October I'll announce a new course on Cloud Services. Stay tuned. If you need to spend some money in 2017 . . . education for 2018 is a great way to invest your dollars! Cloud Services -- Exact Title to be Announced - New Class!